Medical debt can grow slowly; one year at a time. Its accumulation might not be as rapid as credit card obligations, but the debt will increase in sizable sums. Those with medical insurance know that the amount grows with co-pays and deductibles. The co-pay is that part of the bill the insurance company does not cover; the individual is responsible for that. The same goes for deductibles in the insurance plan. Deductibles can be as high as $5000 for one year. 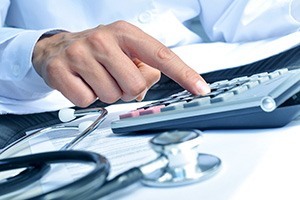 If a person’s medical treatment for a given condition extends over one year, the deductible requirement has to be paid again in full for the second before the insurance company’s share is paid. This is why medical debt can get out of control. The research which was done recently by the Kaiser Family Foundation noted that from 2006 – 2015 the amount employees were required to pay for deductibles for a single insurance coverage alone jumped 255%; significantly more than increases in wages. Despite reforms created by the Affordable Care Act, approximately one fifth of all adults in the United States are struggling with medical debt. There are extreme cases where people are forced to sell their house to meet the payment of medical expenses. These bills have to be effectively managed to prevent wage garnishment from happening. Countrywide Pre-Paid Legal Services provides help with its financial wellness plan. Our program includes medical debt assistance. We have a nationwide network of certified credit counselors who will go over the ins and outs of medical debt with a plan member. An individual will get a free budget analysis of the medical debt, and how it fits into a person’s finances and ability to pay. The counselor and the plan member then take a look at how to best handle the entire situation. This may include a debt management plan, which will free up funds to better address the medical debt. The final result of all of this work is a clear picture of how a plan member will pay medical expenses without taking drastic measures. Putting sanity into problems that confront a person is the best quality of our overall financial wellness program. Our counselors understand how medical debt can grow year-by-year. Their objective is to find the means by which current bills are covered, and the overall balance is reduced. The counselors have dealt with medical debt before and are willing to offer suggestions on how to best deal with costs. The value of this assistance is the realistic approach to handling the balances. It is probably true that younger employees are not going to be too concerned about this. However, those with families will find this particular option of the program to be critical. Medical debt can force a family to make decisions regarding college education financing or other matters they wish to avoid. Medical debt assistance helps them avoid drastic actions. With the right type of advice, a person can navigate the waters and reduce the amount of bad medical debt they currently are facing.